Are you interested in starting an SEO campaign? To be successful, you need to consider many factors, but you must first understand that how Search Engine Optimization is done nowadays is much different than back in 2012. RankBrain is a machine learning (AI) algorithm that Google uses to sort the search results. It helps Google process and understand search queries better while also giving users a better experience when it comes to their results. Back in the day, 100% of Google’s algorithm was hand-coded, so when they made an algorithm update, it was permanently changed. However, engineers still do some coding on the front end of things, but RankBrain tweaks the algorithm in the background to be tailored for each person’s search result. This means that Google’s algorithm is ever changing. When it comes to ranking factors, it is not so black and white anymore. Google’s AI will increase or decrease the importance of your backlinks, content, domain authority, etc. depending on the keyword that is being searched. It also looks at the individual user’s intent and how they interact with the search results. For example, if the user seems to like the new results that RankBrain has chosen for them, the algorithm change for that person, if not it will roll back to the older version. Keyword rankings and research have changed drastically because of this algorithm. Because Google understands user intent more than keywords, they are good at identifying specific synonyms around certain keywords. It is now less about optimizing for keywords and now more important to optimize for concepts or specific topics. RankBrain is learning new keywords and concepts every single day. This makes the search results much more user-friendly, getting the people what they are looking for faster. Now that you have learned what SEO is all about in 2018, you can now start to create an SEO campaign with a few steps. What is your website platform? – You need to know if your site is based on a modern or outdated platform. A modern platform, such as HubSpot, is fast, secure, and much easier to optimize. It is also more flexible when it comes to design and making small changes to your website. If your platform is outdated, I would strongly suggest switching over to HubSpot, or another more modern platform like WordPress or Marketo. It is sometimes cheaper to migrate platforms than to pay someone to optimize an outdated, confusing platform. Do you need to change your current design? – It can be a tough decision deciding whether or not you need to change your website design. You may be totally attached to your current design, but it may not be the most user-friendly, well-designed website for SEO purposes. If you are changing to a new platform, this can be an easy process because you can usually just change it to a new theme and customize it how you want it. If either of these issues exists, it is imperative that they are taken care of before the optimization stage. If your website is poor, out-of-date, or not user-friendly, an SEO campaign is going to have a very little effect. You need much more than just a good keyword and optimization strategy to succeed. As stated earlier, it is very important that we are optimizing around topics rather than keywords. However, we still need to do some keyword research to see what types of keywords within that particular topic we want to optimize for as well. What topics do you currently write about? Once you have brainstormed the list, try to narrow it down as much as possible. Combine duplicates, remove any that are irrelevant/not necessary, only choose what you feel is most important. Keep in mind that you can always revisit this later down the road. After the topics have been decided, it is time to do some research into what you want to optimize your website around. We use SEMRush for this, but there are plenty of other tools, like Moz or Rank Tracker. To begin this process, keep track of all of your work and separate all of your researched keywords by topics. I start by taking a look at what keywords we are already ranking for, then go for what our competitors are ranking for. Once I have taken all of this into account, we can use our tool to research some additional ideas within that topic with SEMRush’s keyword magic tool. You put in a keyword/topic, and it will give you some suggestions. Once the research has been done, I like to make sure to narrow it down a little so that each topic is associated with about 7-10 target keywords. It is a good rule of thumb to choose keywords with higher search volume, that you are already ranking well for, and that are going to be attainable. We now have our topics that we are going to base all of our content around, as well as the keywords we want to optimize the website around. Content is the core of a website and if you do not execute a content strategy correctly, you could be missing out on some serious search engine rankings. Much like Google’s Algorithm, the way we create content for SEO is different than it was before. Once you have your topics and keywords chosen, it is important to perform long-tail keyword research in order to form the content strategy. These types of keywords are going to be used as either blog article titles or for, what we call pillar content pieces. Both of these pieces of content are going to work hand-in-hand to achieve higher traffic and keyword rankings. Pillar content (also known as 10x content) is a long-form piece of content around each of our specified topics. These pages can be ungated eBooks or guides and can be created from the already-existing content or newly created content pieces all to help us rank higher. The thought is that if we create this long-form piece of content, users are more likely to be engaged, stay on the site longer, and will receive more of what they are looking for. By linking back to the content, we are telling Google that this page, and the articles surrounding it, are vital to our website and explain exactly what we do for our users and what we are offering them. This will ultimately help the website rank higher and get more traffic. 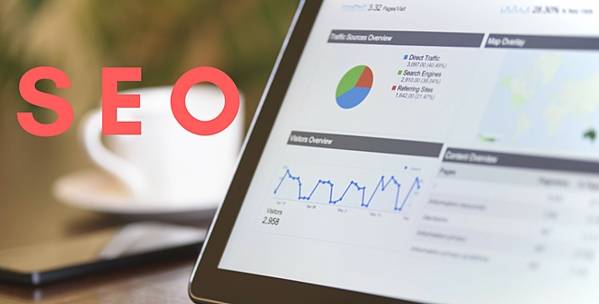 An SEO audit is the start of the campaign, and as such, it is important to understand how to perform an SEO audit. A site audit will help to identify areas that need improvement regarding on-page SEO, but can also help determine to strengths and weaknesses of your off-page SEO. With SEMRush, we have all we need to perform an SEO audit. However, you can also use tools like Moz or ahrefs. Everyone does an SEO audit differently, but ours combines a mixture of on-site optimization and a technical evaluation. We will take is to get an inventory of all of the page URLs, current Meta Titles, and Meta Descriptions. This allows us to see what we are working with from an initial optimization standpoint. We need to see whether or not the URLs will make sense when Google crawls through the site, and that they look up to best practice. Additionally, we want to see what Meta Titles and Descriptions we need to optimize right off the bat to get the optimization started. I will take a look at some accessibility issues that exist on the website and whether or not they need to be addressed. For this portion of the audit, we will use Google Search Console. This tool is free and makes a list of ongoing technical errors that exist on your website. The first thing we look at is the Robots.txt file. It is important to have this file in case you ever want to have something on your site, but want to avoid search engines from finding it. This can avoid duplicate content. On the other hand, you need to check it to make sure it is not blocking any important pages from being seen. Google Search Console will tell you if there are any errors like this and how to fix them. Additionally, we look at the Sitemap. This is a file attached to the root of your website (www.example.com/sitemap.xml) that is a roadmap for search engines to follow and crawl your site. We use these sitemaps to submit them to Google Search Console to let Google know how to crawl your website. It is your job to make sure to find your sitemap and submit it to Google. Once it is submitted, it will continually monitor it and let you know if there are any issues and how to fix them. Lastly, we look at 404 errors that exist on a website. If search engines and users are unable to access your site’s content, then the browser will return a 404 error. Users will encounter this error for many different reasons. They could have a page bookmarked that is no longer live, or they have input the wrong URL into the search bar. These errors are then stored in Google Search Console and will need to be redirected to the correct page for better user experience. If you have just set up your Search Console, the data will not come in instantaneously, so you may have to wait. It takes some time for them to collect them 404 errors. Additionally, how you create the redirects depends on the type of website you have. In step 1, you figured out where your website was. Now, you will need to do some research on how to implement a 301 redirect to fix these 404 errors. To evaluate on-site optimization, you will run your website through one of the all-in-one SEO tools that I mentioned previously. These tools will help you determine any optimization errors that exist on a website; including missing alt-text, Meta Title issues, Meta Description issues, URL structure problems, etc. 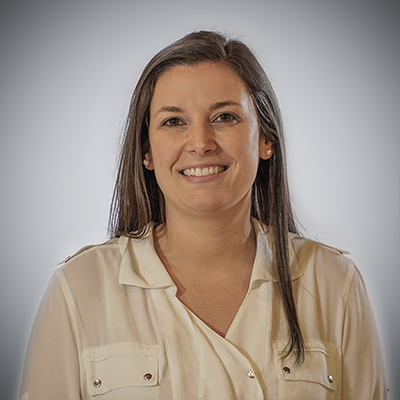 Make sure to take inventory of all of the issues that you have determined during this audit to ensure they get fixed throughout the on-site optimization process. Before you begin implementing any SEO strategy, it is important to define your goals and how to track them. If you do not figure out what success looks like for your company, then you have no way of telling whether or not that strategy you put together has worked or not. Your first thought is that this is an easy answer, just track keyword rankings. This is flawed and should not be how you measure success. Every single search result on every single user’s browser is different. This is because each person is searching for a different thing on a daily basis. Google keeps track of their search history and gives them the best results based off of what their searches tell them. This goes back to our earlier discussion about RankBrain. The best types of things to measure are what people are doing once they reach your website. Tracking user behavior will tell you whether or not people are visiting your website and whether or not they enjoy your content. You will interpret this by looking at visits to your website, bounce rate, and engagement level. A tracking tool like Google Analytics will help you understand what all of this means. In addition to Google Analytics data, the HubSpot Marketing Platform now gives you an opportunity to track analytics for an entire topic cluster. You can see how your pillar strategy is performing once you start to implement it. A strategy has been created, and your goals have been set and are being tracked. Now it’s time to begin the implementation process. Start by taking a look at the initial audit that was done on the website. You will first want to make sure to create new Meta Titles and Meta Descriptions for the website that are optimized both for the user and for the search engines. This means that it should not only include a keyword, but it should also look natural, so the user understands the page they are about to read. Next, you will want to fix any of those accessibility issues that you found. 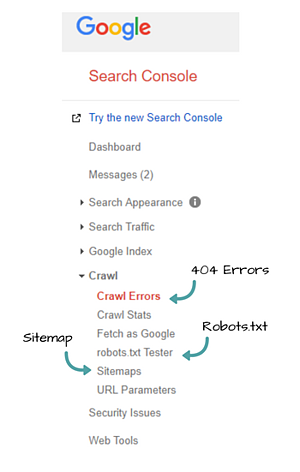 These include fixing the Robots.txt and Sitemap files, as well as redirecting any 404 errors that Google Search Console finds. Then, you will want to go back to the all-in-one tool to see what technical and major SEO errors need to be fixed ASAP for the site to be 100% ready for the search results. This tool will find any technical errors that are undetectable, as well as optimization edits that can be made based off of your target keywords. It will give you some optimization ideas for better ranking opportunities. By following these optimization techniques, you will have a full rounded on-site strategy in place. Local SEO allows local businesses to promote their services to local customers at the exact time they are looking for your type of business. Local SEO uses search engines like Google and Bing and business directories like Yelp to help your site’s local presence rise. The first step in local SEO is to make sure that your Bing and Google My Business Listing are set up properly. The most important thing about these listings is that the address must match exactly how it is on your website. You will then make sure to optimize the listings with images, a description, profile photo, and more. Once all of this is completed, it is vital that you claim and verify your listings. This means that you have sole ownership over them and no one else can edit it unless you give them permission. Having a verified listing holds more weight than the opposite. Once the Bing and Google Local Listings are completely optimized, we will begin to create additional business citations, such as Yelp and Yellow Pages. These listings will help promote your Google and Bing listings and in turn will get you more traffic to your website. A backlink is when someone else is linking back to your website. This is one of the top three ranking factors in Google and always has carried a lot of weight. It is extremely important that you are focusing on the quality of these links rather than the quantity. If you have a lot of poor quality backlinks in your profile, you could get penalized, and your rankings would plummet. It is very important to watch who is linking to you and making sure it is relevant. Before you begin building links, take a look at who is currently linking to you and make sure they are not toxic and are not going to hurt you in the long run. You can do this by running a backlink report in any of the all-in-one tools I mentioned to show the links that should be removed. 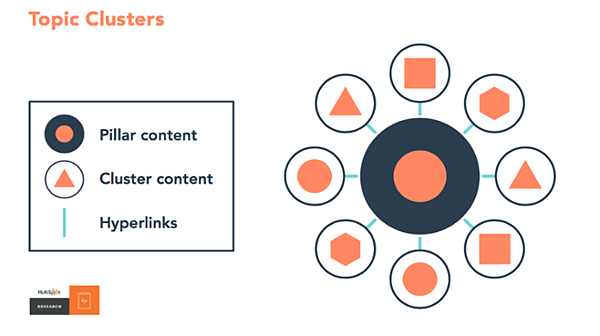 Competitive Link Building - Many tools like SEMRush will help you look into your competitors’ backlink profile. By taking a look at what they are doing, you can try and get links on the same websites to try and compete for that top spot on Google. When using this tactic, you must be careful to choose the most powerful and authoritative links to obtain. Industry Related Directory Link Building - Finding industry specific directories that have high trust and authority can be difficult. However, through this process, you can find a backlink that is extremely relevant to your space, it will be a great addition to your profile. There are plenty of other ways you can build links, especially when you think creatively. One thing I will tell you is that if you can leverage the relationships you have with other businesses and other websites, you can get some good quality link exchanges very easily. *This blog was originally published on 11/25/14 and has been revised for freshness and accuracy.